High-definition touchscreen anchors strong UX in Equinox. Chevy’s mass-market Equinox CUV earns kudos for offering a premium level of UX equipment and capability in a value-oriented runabout. Simplicity, clarity and connectivity are key qualities guiding us as we evaluate Wards 10 Best User Experiences nominees, and the ’19 Chevrolet Equinox garners top marks on all those measures. 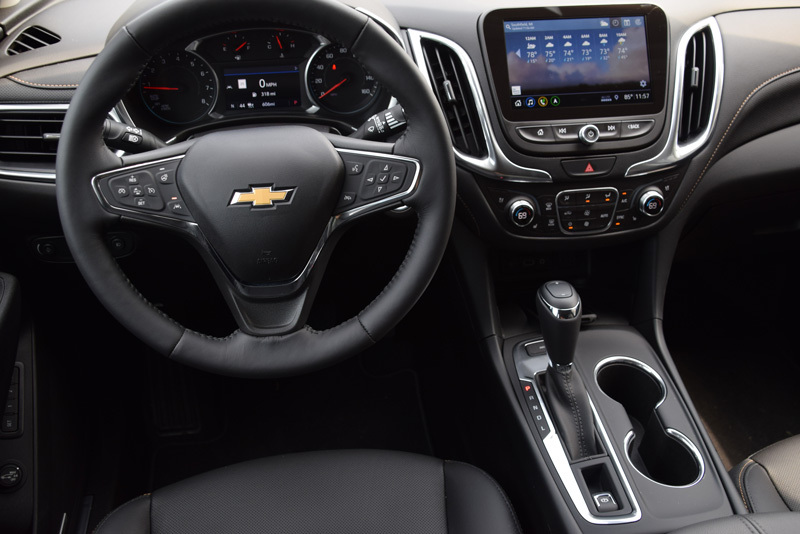 The Equinox ushers in an era of fresh UX design at General Motors, featuring a high-definition touchscreen and a small array of simple-to-select buttons and knobs controlling the screen, audio system and climate. Praise is profuse for the visuals, led by the Chevy’s all-new 8.0-in. (20.3-cm) 768p center touchscreen, featuring crisp graphics, clean maps and highly legible fonts all designed to provide clear, at-a-glance information. The multicolor infotainment screen provides instant access to audio settings, navigation and other vehicle functions via a cellphone-like pinch-to-zoom interface, all while anchoring an understated but highly capable UX setup that wows our judges with its fast responses and accurate voice controls. “Great-looking map with white background, green for roads, yellow for interstates and red for traffic,” says editor Christie Schweinsberg, who also applauds the voice controls and especially appreciates how the system responds with a simple “Yes?” prompt when the voice-activation button is pushed. Connectivity abounds in our $39,655 Equinox AWD Premier model, with more USB ports than we’ve found in some vehicles at twice the price. We count six USBs, plus an auxiliary jack, in addition to Bluetooth and Wi-Fi capabilities. Power for devices is available via USBs, 12V and 110V outlets and a wireless charging pad. Apple CarPlay and Android Auto functionality is part of the package. Driver assistance is another strong suit in the Equinox, with exceptionally dependable adaptive cruise control that alerts via color instrument cluster telltales and seat vibration when it requires driver intervention, while lane-keeping provides visual cues and alerts via seat vibrations or audible beeps, depending on your preference. Finally, while overall comfort is less important when judging the User Experience compared with our 10 Best Interiors evaluations, the Equinox wins all-around high marks for heated and cooled front seats backed by heated outboard rear seats.